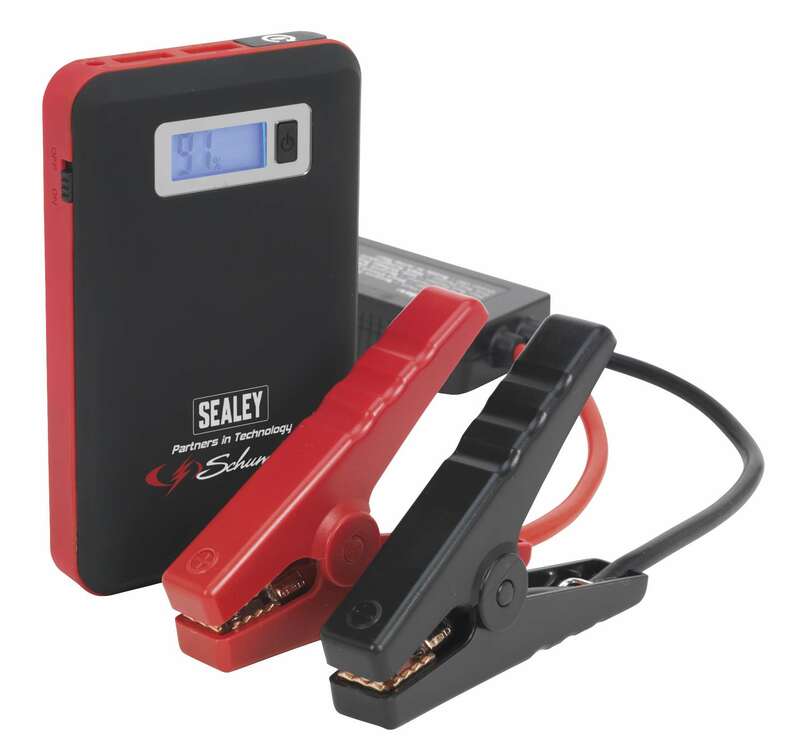 • Slim pocket-sized 12V jump starter pack that benefits from being compact and lightweight and also provides a high amperage output. • Capable of starting an average 2ltr petrol or 1.6ltr diesel engine, all this makes this unit ideal for motorcycles. • Li-ion batteries have numerous advantages over lead acid, including a flat discharge curve. This ensures a greater and extended performance and holds the charge for up to 5 times longer with high energy density levels giving more battery power per gram. • Fitted with two USB sockets (5V/1A and 5V/2.1A) for powering or charging a variety of small electronic devices. • 8000mAh Battery able to supply up to 4 full charges for smartphones and smaller devices or one full charge for your tablet computer. • Slim pocket-sized 12V jump starter pack - ideal for motorcycles. • Capable of starting the average 2ltr petrol or 1.6 diesel engine. • Fitted with two USB sockets (5V/1A and 5V/2.1A). • 8000mAh Battery able to supply up to 4 full charges for smartphones. • Size (W x D x H): 78 x 25 x 125mm.